Have you had the sudden urge to start bulking up? Fallen out of love with the gym, but really want to get back under those weights? If so, then this post could be the start of your journey to leading a bodybuilder’s life. Here are three important steps you can take, immediately! First up, the trick to any serious bulk in size is largely down to what you’re eating. You’re going to need to be plying your body with calories and protein if you’re serious about gaining size. Try to exceed your advised calorie limit each and every day to maximize on your bulk. Ensure that you’re eating your three meals a day. This should then be topped up with additional snacks, which are high in protein. You’re going to be working out absolutely loads if you want to lead this sort of life, so you’re going to need the energy to do it! What’s the only way to do that? Eat more! Eggs are an ideal place to start, the white of the egg is incredibly good for bodybuilding due its mass amount of protein. Carb-loading is also going to be pretty essential in terms of boosting your energy levels. Lots of pasta and rice dishes will great make dinners for any bodybuilder! Check out these six essentials foods here, for more info. This point should be your mantra! Bodybuilding requires a lot of training, it’s sort of in the name. So, if you’re taking this way of life seriously, then cancel all your plans, because training comes first! You should be spending about 5-6 days-a-week in the gym, ensuring one or 2 days off each week to avoid burnout and injury. Aside from that, don’t feel like your workouts have to stop there. Hitting it hard in your backyard is also encouraged. An exercise rig is ideal for this sort of thing. Putting in the pull ups in your garden is going to make the world of difference when it comes to really toning up those upper arms, shoulders and back. All that extra work can really show, so don’t feel like you have to stick to the gym to exercise. Remember, you can train always and everywhere! 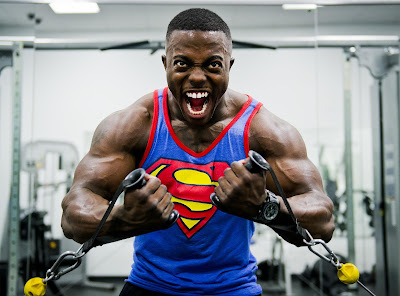 Finally, any bodybuilder will tell you that one of the hardest things about this way of life isn’t lifting the weights, but finding the time to do it. We mentioned canceling your plans and making training your No. 1 priority, and this is exactly that! You have to ensure that you make time to train, don’t just find it, or squeeze it in. Got a family engagement? Smash out an hour in the garden before your have to leave! Got somewhere to go, why not jog instead of drive? All these little details will help you bulk up even quicker. Meal planning is also an essential part of bodybuilding and being organized. You don’t want to dirty bulk by having take away each night, have a freshly prepared alternative ready to heat up if you don’t have the time to cook! Ideally, these three tips should get you well on to the way to looking and living like a bodybuilder. Let us know how you get on!